A classic look with modern updates. 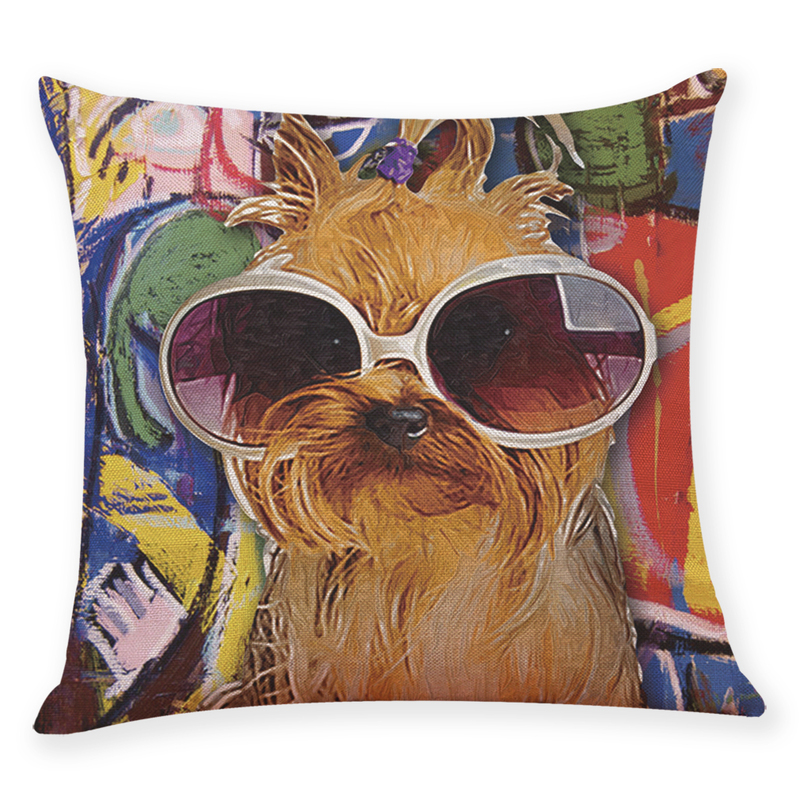 This luxurious throw pillow case has subtle cute dog with glasses print that freshens up your decor. The understated beautiful design allows for easy mixing and matching with other pillows. Available in different designs. Soft texture and subtle pattern for modern & classic touches. Made of durable polyester & linen. We were surprised by the high quality of the product. Lovely item. I will buy more!